The Colina de Cobre House Plan 9040 is a brand new tiny cabin getaway that’s perfect for a lake, ocean or mountain property. 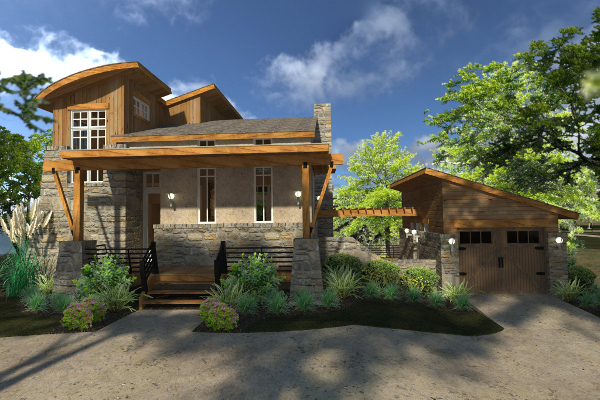 It was recently created by one of our leading architects, who is known for homes with much larger footprints. 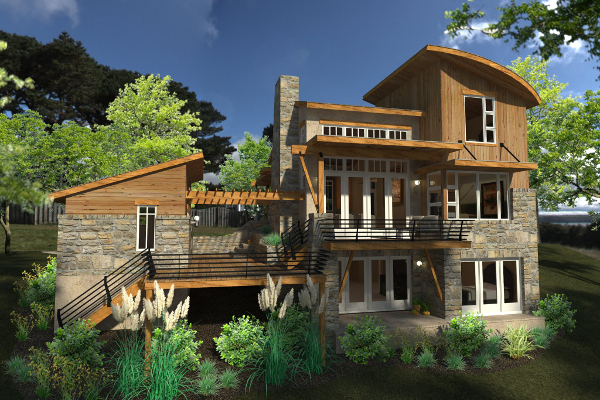 This new #tinyhouseplan is the results of requests from prospective homeowners and builders for a luxury getaway that has all the trademark features and appeal of this architects current house plan collection. This tiny cabin house plan is perfect for a lake, beach or mountain property. Clocking in at just under 1,000 square feet, the first floor features a master suite and open two-story living/kitchen space. 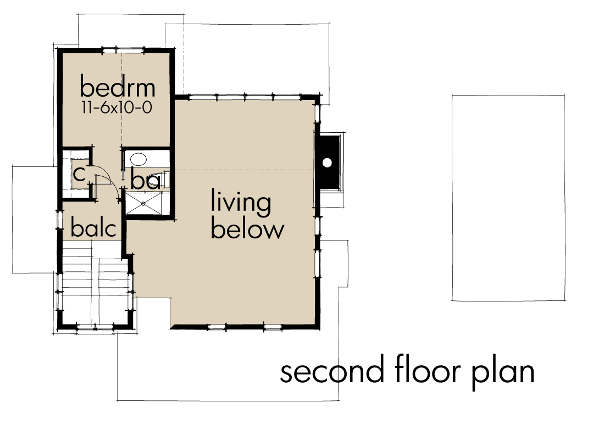 The 2nd floor has another bedroom and bath. A detached one-car garage is accented by a trellis. A two-story informal living area with kitchen island maximizes the front and rear views and outdoor living spaces. The master bedroom is compact but has magnificent views as well as a walk in closet and and washer/dryer. There’s is plenty of covered outdoor living space on the rear of House Plan 9040. 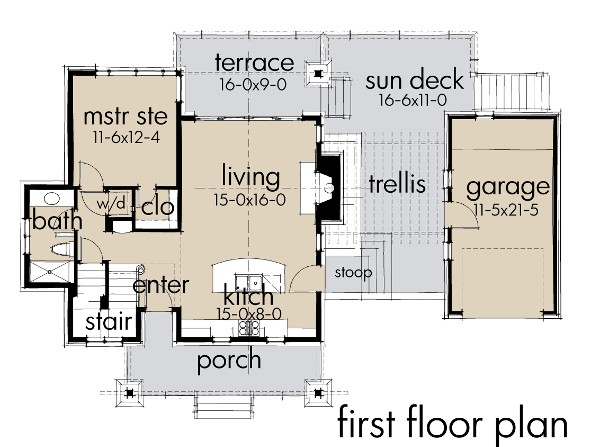 The second floor of House Plan 9040 features a full bedroom and bath. Looking for extra space, look no further! This tiny house plan isn’t so tiny with an optional lower level. 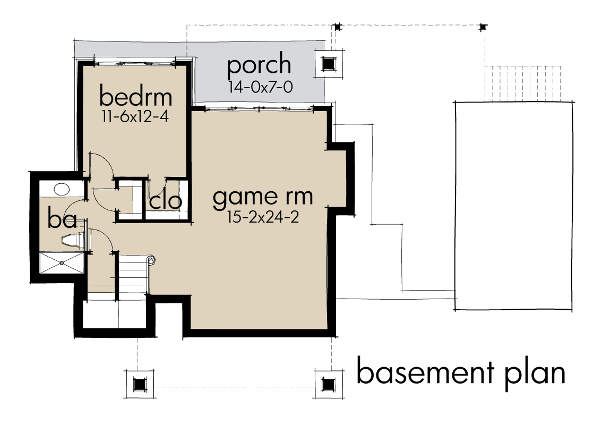 It’s designed to include a third bedroom and large game room with views/access at grade level.